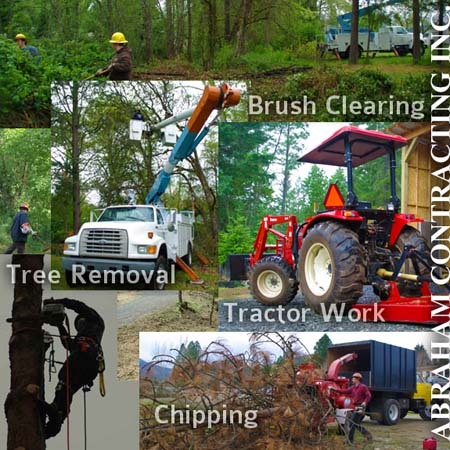 Tree removal and trimming: With experienced tree climbers and personnel on our crew, we can meet all of your tree service needs. Hire our boom truck and operators today. Brush clearing and fuel reduction: By maintaining your defensible space, you can protect your home from wildfires. Removal of brush and other fuels is an important part of keeping your property compliant with the state requirements and avoiding fire suppression fines. Chipping: We have two 16" chippers with operators ready to dispose of unwanted brush, limbs, and dead branches. This is an environmentally-friendly and aesthetic way to clean up your property. If you would like a load of chips, please contact us about pricing! Tractor Work: Have a field that needs mowed? We have a tractor and operator standing by. Be sure to ask about our senior discounts and community programs. "We have found Mike Jones and his crew people to be very easy to work with. They are extremely quick to respond and entirely professional, with very strong work ethics. As a local crew, we've had the pleasure of staging them on stand-by at our dispatch office in the past, and observed their desire to keep busy with helpful tasks around the premises. Paperwork is always handled correctly and in a very timely manner. Mike Jones does an excellent job of keeping in communication and providing service over and above what might be expected. This office has participated in the inspection of his crew records which are kept in exceptionally good order. Mike makes it his business to understand what is expected of himself and his people on every level, so everything will be in full compliance. Licensed | Bonded | Insured © 2011 Abraham Contracting Inc. All rights reserved.